What is the GamerX Custom IMG file? The GamerX Custom IMG file adds extra objects, skins and vehicles to SA:MP! The GamerX Custom IMG file only applies to multiplayer so your single player GTA SA is not affected. There you will find a program to automatically install and update your GamerX Custom IMG file as well as information on how to install the streaming memory fix. Also, direct download links to the IMG files are on the bottom of the page should you wish to install it manually. 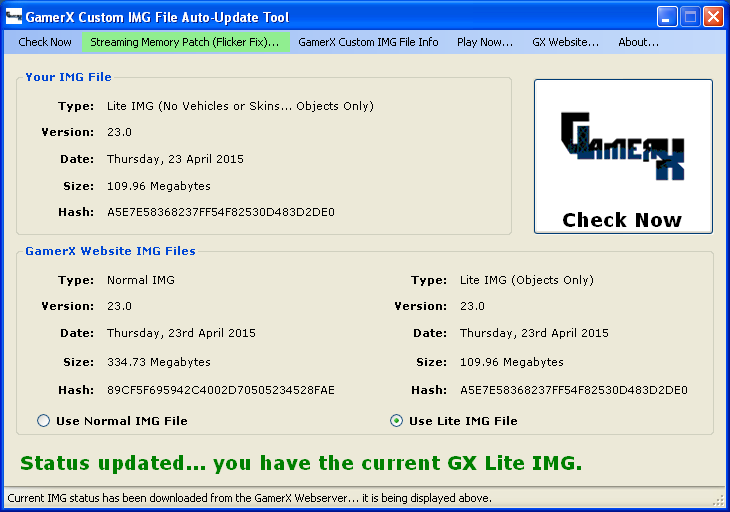 You can choose either of the IMG file types with the GamerX Custom IMG File Auto-Update Tool. Notes: You should use a clean (not modded) install of GTA San Andreas v1.0 and SA:MP. If you have your own mods they may interfere with the GamerX Custom IMG file and cause crashes/problems. You no longer need to install the streaming memory fix as SA:MP 0.3.7 allows your PC to use more memory for streaming by default.). If you wish to view a full list of all object IDs then open the Custom.IDE file with notepad. Should you require support for the GamerX Custom IMG file or the GamerX Custom IMG File Auto-Update Tool then please ask on the forum or contact Matite on IRC. 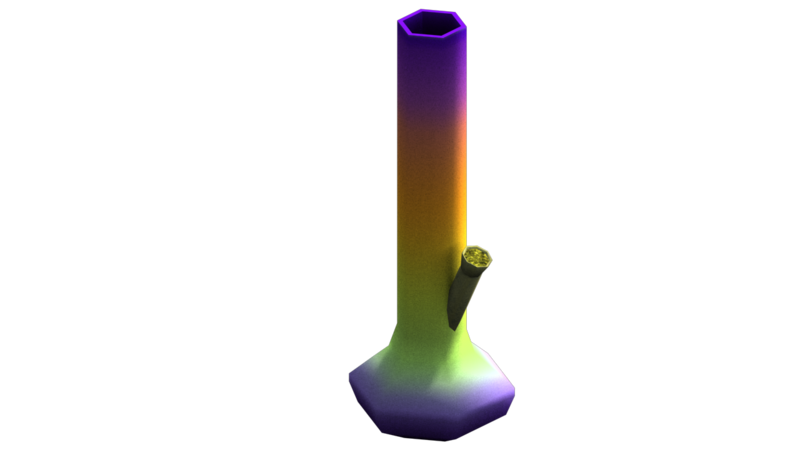 Please note that all of the GamerX Custom IMG IDs had to change in the v23 update as more objects were added to SA:MP and a new ID range was assigned to the custom IMG objects. Everything got their end somewhere, with someone. You have to download Cleo Library for CLEO folder. Then paste these files in there your game will not lag+Crash. Better post some screenshots or explain it more. Last edited by sheyas; 27-10-13, 02:06 PM. EVEN I DOWNLOADED CLEO LIBRARY IT SAY DAT IT ISNT FOUND!